If only we had Mr Holmes available for every lost iPhone out there….Unfortunately we ourselves will need to be the Sherlock as well as Watson when it comes to stolen iPhones. 2 Why do people steal iPhones? 3 What to do if your iPhone is stolen? 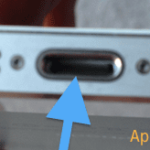 4 How to know if you are buying a Stolen iPhone? iPhone, the smart phone by Apple, is one of the most popular and expensive phones in the world today. In America, iPhone is the most selling phone since the inception of smart phones. And around the world too its consumers are growing exponentially. iPhones can cost hundreds of dollars if bought without a plan from a carrier thus, making them a target for stealing. Yes, iPhones get stolen all the time and not just in the developing world. Although, the iPhone is known for its security features, thieves still steal iPhones and crack codes to sell them in the black market. With tighter security features in the phones starting with iOS 7, it has become increasingly difficult for thieves to activate the device. There is however a large black market when it comes to iphone parts. You will also see ads for cheaper iphones that are “icloud locked” on ebay and other sites from time to time. According to Consumer Reports, 3.1 million Americans were victims of smart phone theft. And most of these phones were iPhones. According to the same report, most of these thefts took place in restaurants and cafes as opposed to buses or subways. Why do people steal iPhones? There is no rocket science to why someone would steal an iPhone as the obvious answer is money. There is a whole market for stolen phone in the developing world. Most of these thefts are nearly organized crimes. 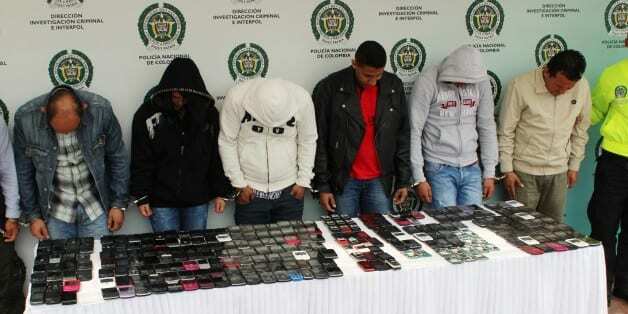 These stolen iPhones among other smart phones end up being sold to people in the third world. Interestingly, a large number of stolen iPhones from US are shipped over to developing Latin American countries via Miami. South American cartels are applying skills honed through decades of distributing cocaine to a new pursuit offering outsized profits at a fraction of the risk: They are moving into stolen smartphones. A Huffington Post investigation drawing on interviews with Colombian law enforcement officials and a local police informant and transcripts of wiretapped conversations between traffickers reveals that Colombia serves as a primary hub of this increasingly lucrative trade. Besides money, the social value of having an iPhone may contribute to a person’s motivation to steal an iPhone. Iphone is a popular smart phone, especially among the young generation. Many young kids want to have a fancy gadget in their hands. And some of them cannot afford to buy such an expensive phone so they resort to stealing. Stealing may not be that difficult but unlocking it and preparing it to resell may require a lot of work, thanks to iPhone’s strong security features. What to do if your iPhone is stolen? Yes you should report it to the police but you can get a step ahead and locate your phone yourself. 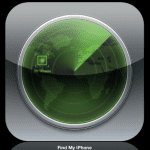 There is a feature in iPhone called Find My iPhone. 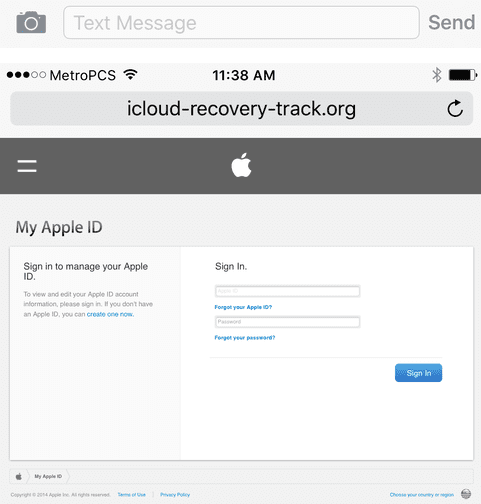 If it is activated, you can sign in online (on iCloud), go to Find My iPhone and locate your phone wherever it is. If it is nearby, you can even initiate a sound on your phone to track it. You can turn on Lost Mode to lock your phone with a four digit pass code. You can then keep track of your phone. And if you happen to use Apple pay which is connected with your credit cards it will be disabled automatically once you indicate your phone as lost through “Lost Mode”. You do not even have to be worried about the data. You can erase your data remotely. You can perform these actions even if your device is switched off. These actions will take place once your device is on. But keep in mind these options are only available if you had enable “Find My iPhone” in your device. If it is disabled, you can still change your Apple id and change passwords of your email and other accounts. This is why iPhone is considered one of the most secure smart phones in the market. Apple has done a great job in providing a step by step instruction guide when it comes to things you must do if your device is stolen. Please check this guide and save it as a bookmark on your computer. How to know if you are buying a Stolen iPhone? We want to point out the first rule here. If the deal sounds too good to be true, please stay away from it. Donald trump can make good deals but when it comes to us, I think it is better to stay clear of the risk. 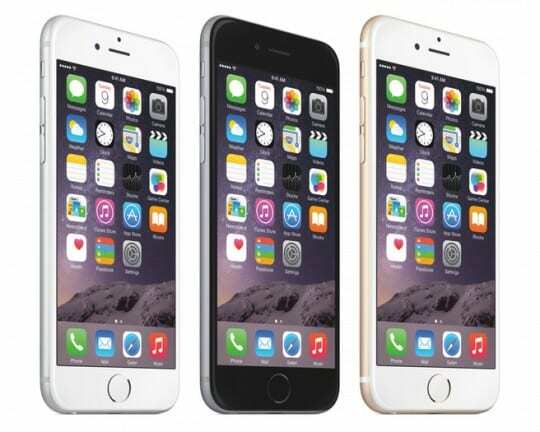 If you do decide to buy an used iPhone, please buy it from an authorized carrier or reseller. In the event that you had to buy an used iPhone from one of those websites on the internet, please make sure you are following the basic due diligence.It is good to make sure that the used iPhone you are buying is a genuine one and not stolen from someone. Tip # 1 . If you are buying an iPhone that is “iCloud locked”, chances are that it has been stolen or reported as missing. Tip # 2. Ask the person/vendor selling the device for the IMEA number for the iPhone. This is an unique identifier associated with the device. Once you obtain the IMEA number, you can look up the number on different sites to see if it has been blacklisted or stolen. just Google for IMEA verification and you should find a lot of services around this. When you get the device, please make sure that the device has this same IMEA number. Tip # 3. Please check on Apple’s site to see the activation status of the iphone using the IMEA number. if the activation lock has been disabled, you know that the device is legit as the prior owner had taken correct steps before deciding to sell the device. Tip # 4. The last step would be to ask the seller the carrier on which this iphone was being used with. Please take the time to call the carrier and see if this device is clean or blacklisted. Tip # 5. Once again, if it sounds too good to be true, chances are that it is indeed too good to be true. You would think that just because you are able to unlock it with the code provided by the seller, it is authentic. That is not the case as some hackers have cracked the way of getting pass the security code. Luckily enough, Apple has a tool that solely helps verify whether the phone is locked down remotely by its actual user. All you have to do is put in the device’s serial number on the Apple’s Activation Lock Status check page and you will know if it is locked (Tip # 3) . You can find this serial number in Settings then General and then tap About. 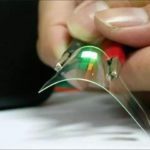 You will see all the information about the gadget in your hand. Another thing to remember is if you are buying an used device and it comes with the original box, please check the serial number on the box with the device and if they are the same, you can breathe a little better. Hackers will go a long way in order to try to phish your Apple Id and password related to the stolen phones. They will often look you up on the internet and try to obtain your new cell phone number. 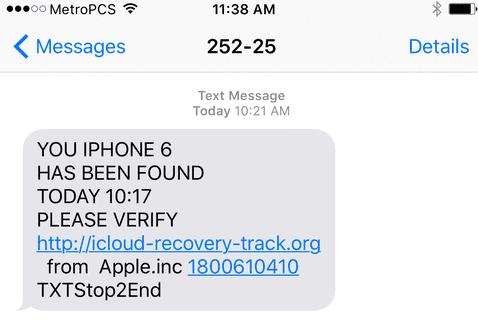 Once they have found this, the common way is to send you a text informing you that your stolen iPhone has been located and you need to verify the ownership by providing them the Apple Id and Password. Here are some screen shots showing you the phishing scam. Courtesy of images : Quora. The reason the thieves are trying to steal your credentials is that they can remove the activation lock on the stolen iphone and sell it for a higher price. Once they are able to get you id and password, they will not be required to mark this device as “icloud locked” when they are trying to sell it online. These scams are also popular when people have issues activating their device during iOS upgrades. We saw a few of these online when folks were having issues with their iOS 9.3 activation problems. 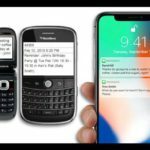 Apple’s iPhone attracts a lot of thieves and if you use one, you should know why and more importantly how to protect yourselves from the Wild West Web scams. Smartly enough, the phone has quite tedious security features that make stealing and reselling iPhones quite tricky and virtually make the device a brick when it is stolen. There is still a big market and business of stolen iPhones running very successfully in the world for used parts. By taking some measures, you can ensure safety of your phone.